With party season gearing up, let’s make sure your table top sets the tone for your gathering! I am loving this Vietri charger, it is an amazing piece to set the base for your table setting. A dinner with your best friends over pink wine, beautiful flowers, and fabulous conversation sounds like heaven! Start with your one splurge item, and then layer with basic whites, glass, and fresh flowers. No one will worry about the food when the atmosphere is this flirty, fun and fantastic. Elegant and intimate, this setting is a game changer. Oh these rich colors with the sparkle of gold – so sophisticated. Perfect for occasions like meeting the in-laws for first time to your evening wedding under the stars. When you still want to impress with an impromptu gathering of close family and friends, grab what’s on hand and make it happen! Linen napkins, candles and greenery look beautifully and thoughtfully placed throughout this table. Have yellow napkins? Grab a few lemons to scatter. Have orange napkins? Grab a pumpkin – you see where this is headed! If you’re looking for quick and fun ways to update your table setting this holiday season, all it really takes is a mix of fun and luxury items. We can help you with pulling one of these looks together. 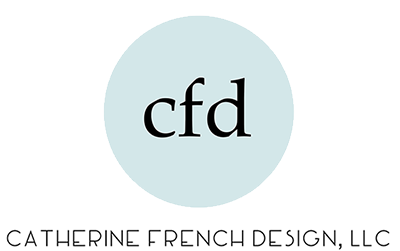 All you need to do is just reach out to us, hello@catfrenchdesign.com.